Next up in the 2014 Coffee Spot Awards is the shortlist for the “Best Overseas Coffee Spot”. 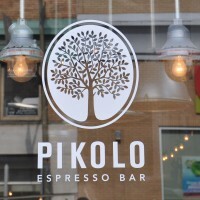 This was won in 2013 by Pikolo Espresso Bar and celebrates all those wonderful Coffee Spots that I’ve visited outside of the UK. This year I managed trips to Dublin, France (Paris & Nantes) and the USA (Boston, New York & Philadelphia) and I found great coffee practically wherever I went. I also managed to nominate somewhere from each of the major cities I visited. Last year I deliberately only included Coffee Spots which weren’t included in shortlists elsewhere, but this year I’ve spread the net a little wider since I would otherwise have excluded some outstanding Coffee Spots. This, by the way, is another Award where I could have filled the shortlist many times over! There are ten Coffee Spots on the shortlist this year, all listed in order of publication. Everyman Espresso is a chain of precisely two coffee shops in New York City. There’s no obvious menu, a neat tactic which means you have to engage with the baristas. Its tag line is “damn fine coffee”, but it could easily be “damn fine everything”. Also in the running for the Happiest Staff Award. 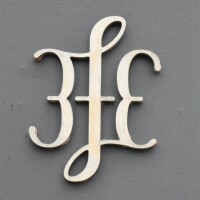 3FE, short for Third Floor Espresso, is, disappointingly, on the ground floor of its building on Dublin’s Grand Canal Street. However, that’s pretty much the only disappointing thing about it. 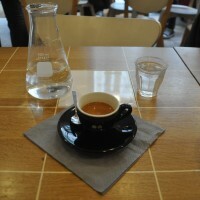 3FE is both roaster and coffee shop with the focus firmly on the beans themselves. Also nominated for the Happiest Staff and Most Passionate About Coffee Awards. L.A. Burdick is a chocolate shop, but not any old chocolate shop, having made its name selling high quality chocolate and, through its four in-house cafes, equally high-quality drinking chocolate. While it does good coffee, in my personal opinion, you’d be mad to have anything other than the hot chocolate. Ox Coffee, on Philadelphia’s South Side, is a lovely spot and, with its stripped-back look, the first I saw in Philadelphia which wouldn’t have looked out of place in either New York City or London. Ox has a similarly clean, stripped-back menu, with just a selection of cake to accompany the coffee, which comes from Stumptown. The house-blend is supplemented by a single-origin espresso at weekends, with a choice of two beans on the bulk drip-filter. Coutume is a well-established roaster-cafe on Paris’ Left Bank. When I first visited it last year, all the roasting was done on site in the coffee shop, but since then, two new branches of Coutume which have opened and the roaster has moved out to a dedicated new facility in the 10th Arrondissement. In its place is a shiny new… empty space, although by the time you read this, it should be a dedicated brew bar. Effortlessly marrying French bar culture with third-wave coffee, the lovely Loustic, not far from the Pompidou Centre in Paris, is also in the running for the Best Filter Coffee Award. 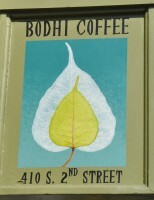 Other than being a lovely spot for coffee, Bodhi’s main claim to fame is that it’s the oldest building in Philadelphia that’s in use as a coffee shop. Situated on Headhouse Square in Philadelphia’s south side in the historic (and beautiful) Society Hill neighbourhood, the building dates back to the 1700s, although Bodhi’s only its most recent tenant. Serving Elixr on espresso, and with beans from both Elixr and Stumptown available as either bulk-brew or filter, Bodhi certainly makes the grade when it comes to coffee. In terms of Paris’ third-wave coffee scene, La Caféothèque has been around forever, first opening its doors nine years ago. Since then, it’s been going about its business, that of educating the French coffee-drinking public that there’s more to coffee than “un café, s’il vous plait”. 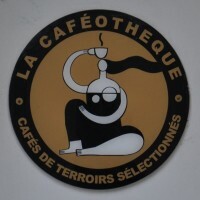 La Caféothèque roasts all its coffee on a 3kg Toper in the front of the store. You can have any of 20 different beans (all single origins, no blends here) via any of 10 different brew methods. 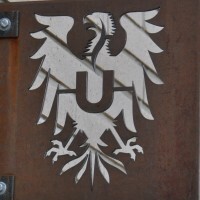 Ultimo is a lovely spot west of the centre of Philadelphia. 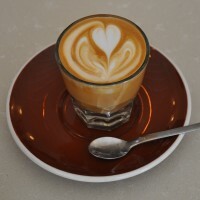 Ultimo serves Counter Culture coffee (with occasional guest roasters) with an emphasis on filter. Chemex is available until 11 o’clock in the morning, with V60 on the go throughout the day. There’s a choice of three single-origins, with single-origin house and guest espressos, plus decaf. It also houses a Counter Culture training school upstairs! I visited an awful lot of overseas places this year, so a special mention also needs to go to New York City‘s Bluebird Coffee Shop and Box Kite, Menagerie Coffee in Philadelphia, Boston‘s Render Coffee, and, closer to home, Sugar Blue Café in Nantes.